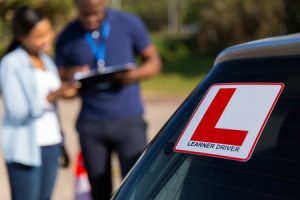 If you live in Lakewood and you have recently started browsing the websites operated by local driving schools to find a suitable driving course, you have surely seen that choosing the best Lakewood driving school is not easy. The task is difficult and confusing not only because most local schools advertise themselves as the best, but because they are excellent, indeed. Such abundance needs a strategic approach: you will need to determine your own priorities and perform an evaluation of the courses offered locally based on those priorities, so let’s see how to do that. Driving courses usually consist of in-classroom teaching, during which the students acquire the theoretical knowledge related to driving regulations, road conditions, defensive behavior on the road and many other aspects and driving practice, during which learners go out on the road and drive around the city and on the freeway with an instructor. Learners are offered multiple options when it comes to the intensity and the duration of the course. The first phase usually consists of 30 lessons, while in most cases, the practice phase does not take longer than 15-20 lessons. Many schools nowadays offer the possibility to use online training materials to prepare for the mandatory exam that concludes the first part of the course, while others offer intensive courses or weekend lessons to allow students to attend the lessons without having to reschedule their day to day life. The relationship between the instructor and the driving students is based on trust – if they don’t like each other, they will not be able to work together efficiently. Before you choose a Lakewood driving school, have a look at the profiles of the instructors the school works with, try to find out what former students think about them and talk to your instructor before you start the driving practice to see if you can collaborate – if you feel that you can’t, look for a different instructor. The car that you will be driving around during your practice is also very important. Request a car that is similar in size and type to the one that you will be driving after you obtain your license. Don’t look for a specific make or model, but do choose a training car that has the same type of gear as the gear in your own car. Driving schools vary considerably in terms of pricing. To be able to determine the value that you will get for your money, evaluate payment plans and pricing in terms of the services included in the price. Check whether pick-up and drop-off services are included and also look for discounts offered to certain categories of clients such as teen drivers or senior learners. Find out if you are allowed to use your family car during the driving practice and during the driving exam – schools that provide that feature usually offer discounts to the students who choose the option. Hopefully, now you no longer find the selection of the most suitable Lakewood driving school that difficult – after all, you just need to make up your mind about what works best for you.